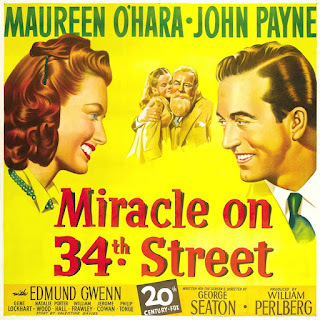 MIracle on 34th Street is not only one of my favorite Christmas films, it is also one of my favorite films, but you might wonder what it’s doing here at Movie Churches. Admittedly, there are no churches in the film, except perhaps fleetingly as the cameras pan the streets of New York circa 1947, but the film does fit right in with this month’s theme of Legal Films. It contains one of the great court cases in the movies, and the film takes on an important spiritual and theological issue that is worth investigating (even if, strictly speaking, it has no church or clergy). The centerpiece of the film is a legal hearing to decide whether the man who calls himself Kris Kringle (Edmund Gwenn) is in fact the one and only true Santa Claus. 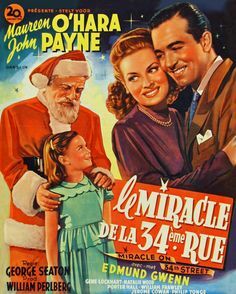 Kringle was hired as Macy’s department store Santa, but he also takes on the store’s director of events, Doris Walker (Maureen O’Hara), and her daughter Susan (Natalie Wood) as a project to teach them the meaning of Christmas. But when the HR director of Macy’s tricks Kringle into being institutionalized at Bellevue, Fred Gailey, attorney at law, steps in to take Kringle’s case. The legal maneuvers and trial politics are witty, but stay within a realistic legal framework. Valentine Davies’ screenplay deservedly won an Oscar for Best Original Story and director George Seaton won an Oscar for Best Screenplay (the Academy did things differently those days). There are so many things to commend about the film. Natalie Wood gives one of the most winning child performances in film history. 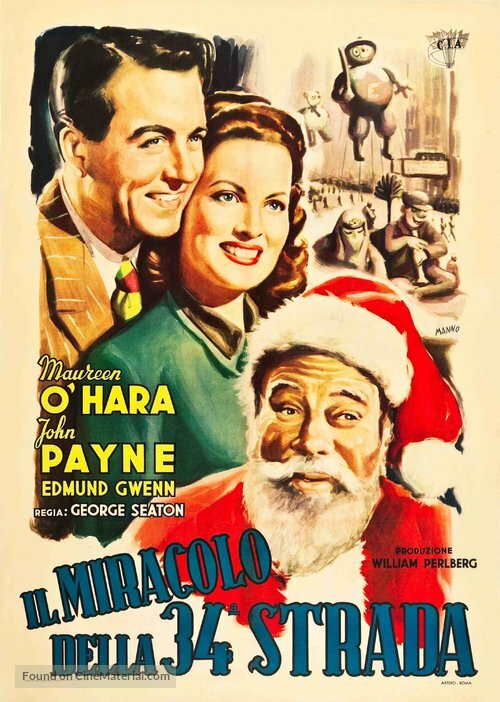 It is said she really believed Edmund Gwenn was Santa Claus; when you see the film, you may believe it as well. O’Hara is a capable executive, a good mother, and, of course, beautiful. And John Payne as the lawyer is such a likable guy. I get to getting a little misty eyed at the film’s (maybe) miraculous conclusion. Faith isn’t opposed to common sense. We reasonably exercise faith all the time. We have faith a chair will be able to hold our weight. We have faith we can safely drive on the freeway and other motorists will drive safely (not always a well placed faith). It is especially important to place faith in other people, but I’d urge anyone considering marriage to also use common sense in making that choice. As the Apostle Paul wrote in I Corinthians 13:13, “There are three things that remain: Faith, Hope, and Love, but the greatest of these is Love.” And I do love Miracle on 34th Street.